LA FORTUNA, Costa Rica–January 2nd was a close call for several passengers on board Costa Rican domestic carrier Nature Air’s DHC-6 Twin Otter (registration TI-BFN) that crashed landed at La Fortuna landing strip. The flight originated in Costa Rica’s capital San Jose and was normal until the arrival in this town north of the country and gateway to the popular Arenal Volcano. Fortunately no one was injured but the airplane suffered damages to its structure. It is not clear if it will be a total loss. Nature Air is Costa Rica’s second domestic carrier (even though it operates two international flights to Managua, Nicaragua and Bocas del Toro, Panama). The airline operates old Canadian de Havilland DHC-6s and has been under scrutiny for safety reasons. The authorities of the Costa Rican Civil Aviation Board (DGAC in Spanish) will investigate in detail the unfortunate incident of January 2nd. 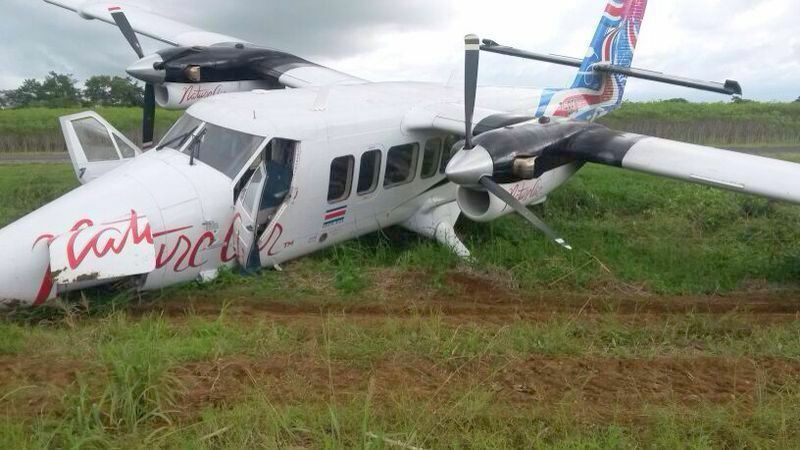 Nature Air’s DHC-6 crashed landed in La Fortuna. Fortunately no injuries this time. 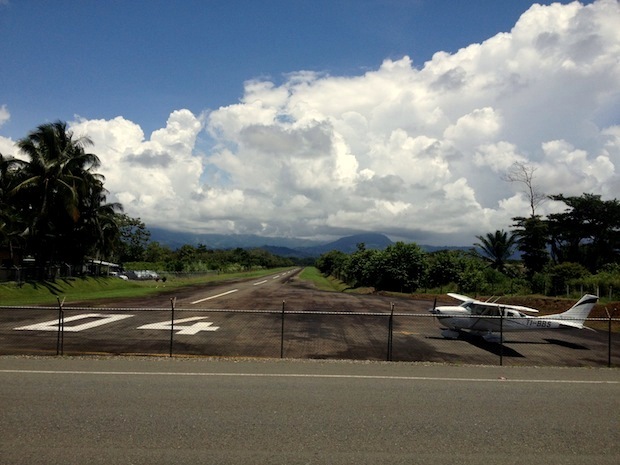 This entry was posted in Airlines, Central American Domestic Airlines, Costa Rica, Latin American Airlines, Latin American Airports, Nature Air and tagged Arenal Volcano, Costa Rica, de Havilland DHC-6, DGAC, La Fortuna, Nature Air, Twin Otter.